Locus is not part of the SFWA. It started out as a newszine and while it has become easier on the eyes, it hasn’t changed much since I started reading it back when I was a lot, lot younger. It still contains the same rich information, details of upcoming books, along with a whole lot of other industry information. 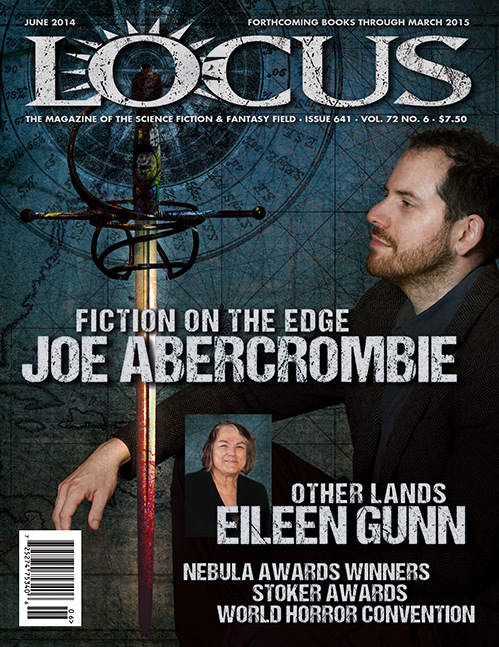 LOCUS is a monthly trade journal, founded in 1968, whose readership consists of chain and independent book buyers, librarians, publishers, bookstore owners and managers, and other science fiction professionals, as well as dedicated SF readers. It has won the Hugo Award, science fiction’s highest honor, 30 times. 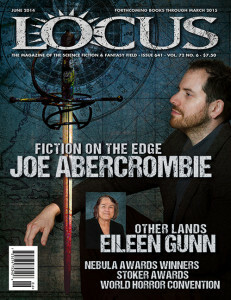 LOCUS is famous for its book reviews and author interviews, recommended titles lists and analysis of the SF field, monthly bestseller lists, monthly listings of all SF books published, and its up-to-date coverage of newsworthy events. If you read a lot of science fiction you have probably heard of the magazine. It’s the place to get a complete list of new books coming. If you write science fiction you should definitely have heard of it. If you haven’t, I recommend you do. If you’re looking for an agent, Locus magazine and the Absolute Write Water Cooler Bewares, Recommendations & Background Check thread should be must-haves in your agent search. Because not only does it list books coming out, it also lists books sold. It says which publisher bought them and which agent sold them. If you are serious looking for an agent for your science fiction novel, these are the people who are actively selling science fiction right now. These are the agents you should be targeting your queries for. There is a website but this is one case where you absolutely should have the magazine itself. It comes in paper version and digital. You can order it direct from Locus or from a supplier in your home country. Slow Glass Books here in Australia. I get my (digital) copy from Weightless Books and I’m happy with the way it pops into my mailbox each month.